150 years ago, in 1867, Andrew Ellicott Douglass was born in Windsor – that is to say Windsor Vermont USA not Windsor England. He later became the founder of the discipline of dendrochronology i.e. the system of dating wood from growth ring comparison. Dendrochronology has been used several times in recent years to help date some elements of some buildings within the College of St George. 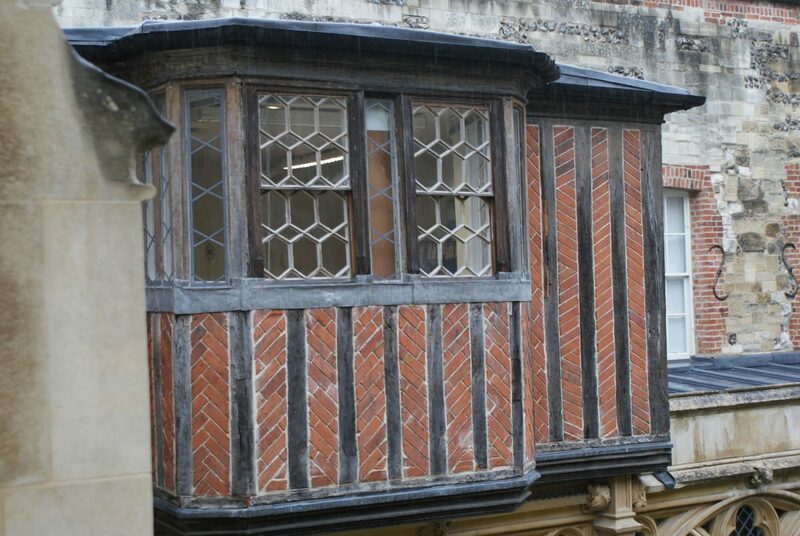 It is now possible to say that the wood forming the scissor beam roof in No 25 was from trees felled between 1226 and 1251; that the roof of the accounts office (pictured) includes timber from oaks felled between 1511 and 1536 and the extension of No 6 into the Canons’ Cloister garth incorporates wood felled in the winter of 1479/80.